42 minutes of voice actors playing the game. 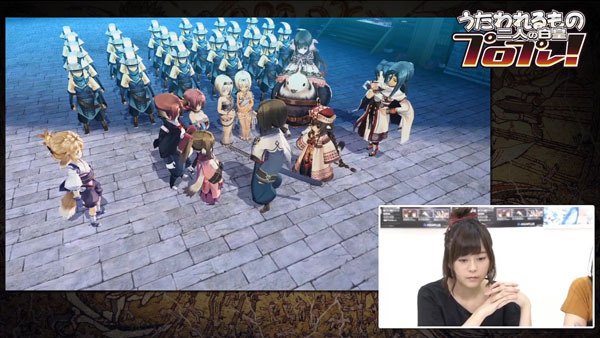 Aquaplus has released the first in a series of lengthy Utawarerumono: The Two Hakuoros gameplay videos featuring Anju voice actress Chinatsu Akasaki, Nekone voice actress Inori Minase, and Oshutoru voice actor Kentarou Tone. Utawarerumono: The Two Hakuoros is due out for PlayStation 4, PlayStation 3, and PS Vita in Japan on September 21.